Prof. Varshini Vidyadhar has a BE degree in Computer Science and Engineering and Master’s degree in Digital Communication and Networking. 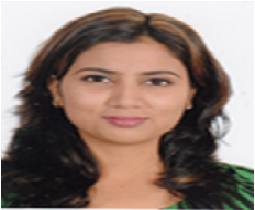 She is pursuing Ph.D. from the Department of Information Science and Engineering, Bangalore Institute of Technology, Bangalore. She has undergone training on ‘ Android developer fundamentals’ conducted by Google and ‘User Interface Technologies’ conducted by Infosys. She has presented papers at National and International Conferences and possesses good computer skillsets.